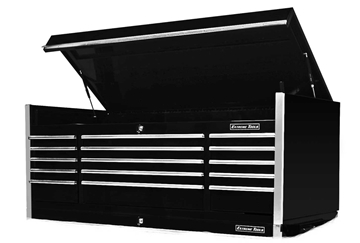 72" x 21" CDX tool boxes offer high quality features found in a professional tool box but at a lower cost. 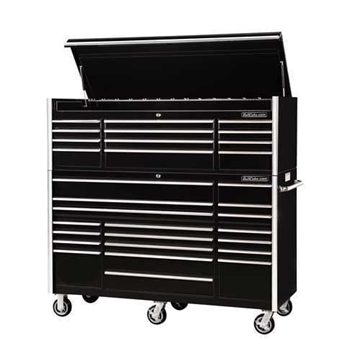 Comes standard with heavy duty MAG wheels. 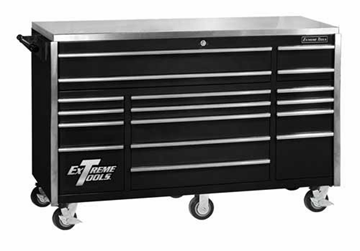 Extreme Tools' RX722519RC rolling tool box features New Expanded Drawer Width Design. 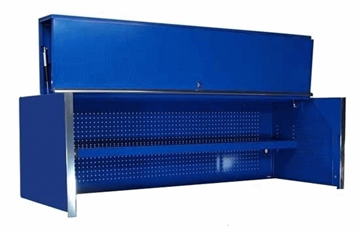 Rear steel wall of this 72" tool top hutch are preformed with 1/4" holes (pegboard style) for organizing tools - includes portable lighting and air tool holder, along with tool storage display shelf and locking door. 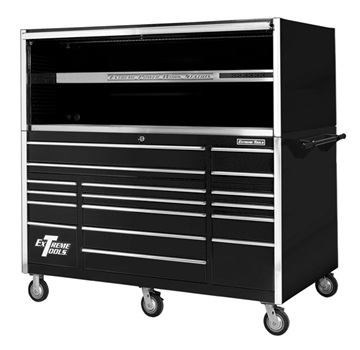 This 72" top tool hutch measures 72" W x 30" D x 22.25" H and features portable lighting and air tool holder included. 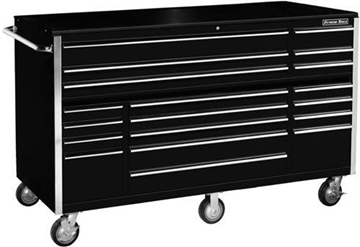 This 72" top tool hutch measures 72" W x 25" D x 22.25" H and features polished aluminum side trim and high gloss coat finish. 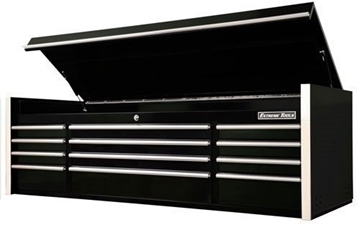 This top hutch measures 72" X 21" and features peg board panels, 110 volt power strip, 2 gas springs, full length one piece handle, power tool holder, adjustable shelf, and a locking front door. 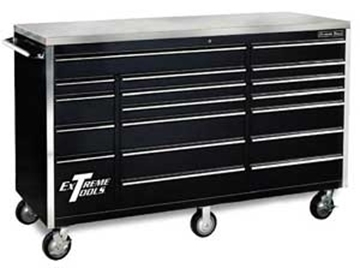 Extreme's 72" 12 Drawer Top Chest measures 72" W x 25" D x 22.25" H and features deep drawers with double slides.